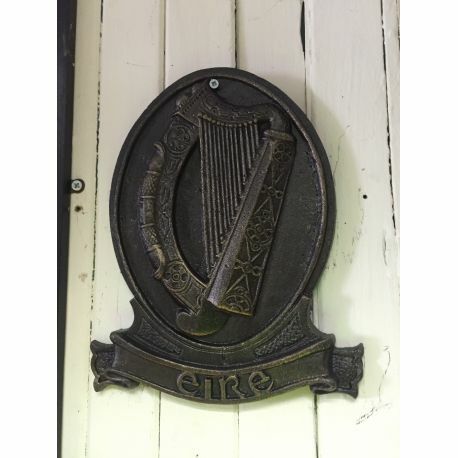 Eire Harp Plaque made from cast iron. Similiar Larger plaques were displayed on all Irish government buildings like post offices and court rooms. Eire Harp Plaque made from cast iron. Similar plaques were displayed on all Irish government buildings like post offices and court rooms.